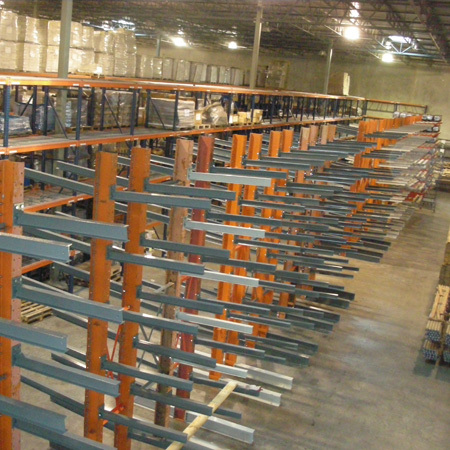 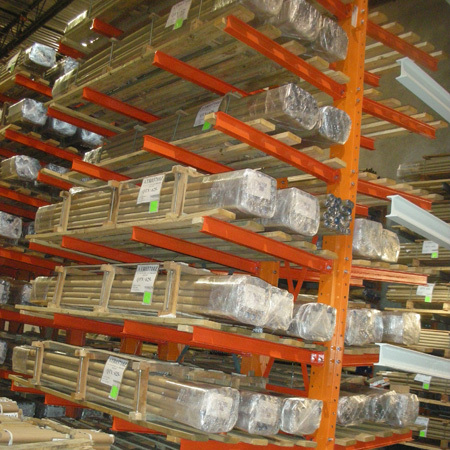 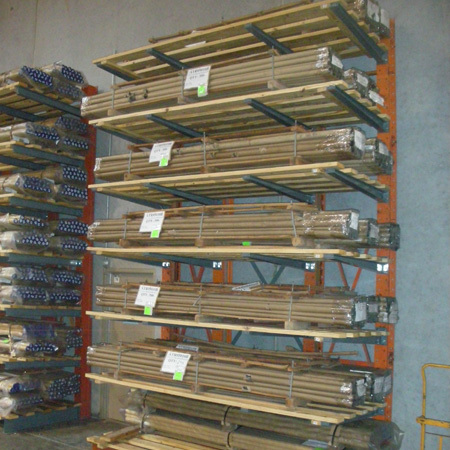 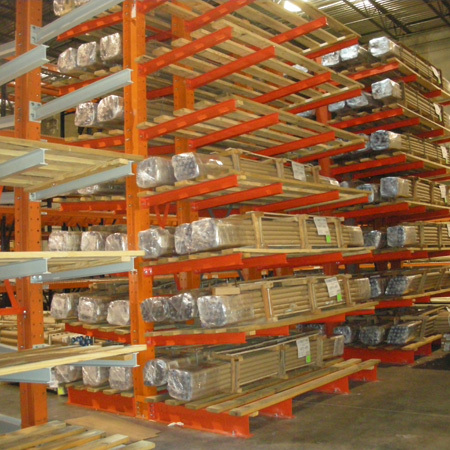 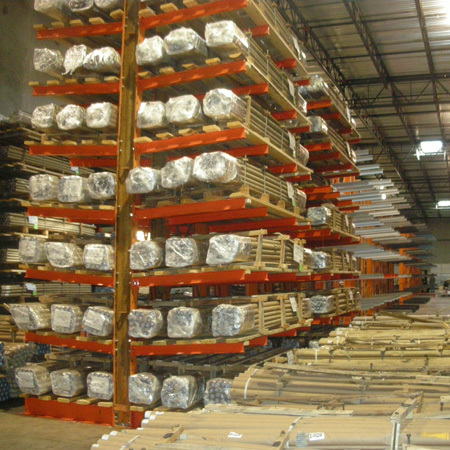 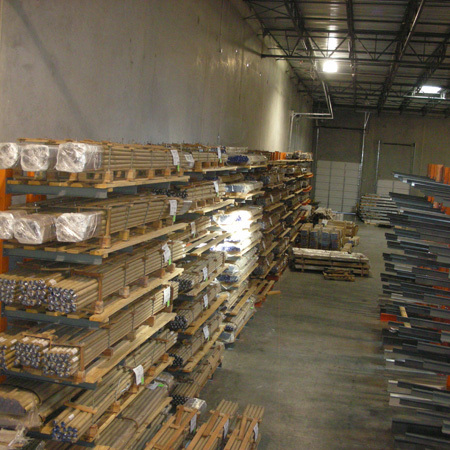 One of our specialties here at Shelving Concepts is our Used Cantilever Rack. 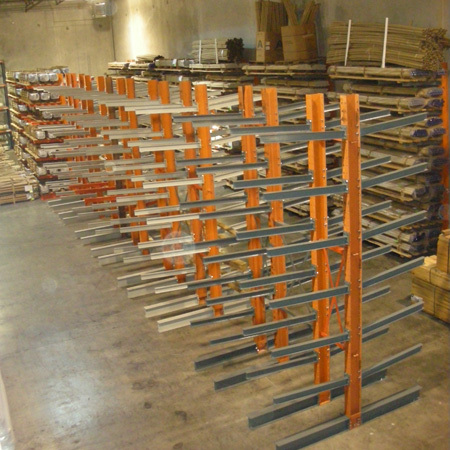 Cantilever Rack is commonly found in lumber and pipe yards because it's ideal for storing long narrow objects. 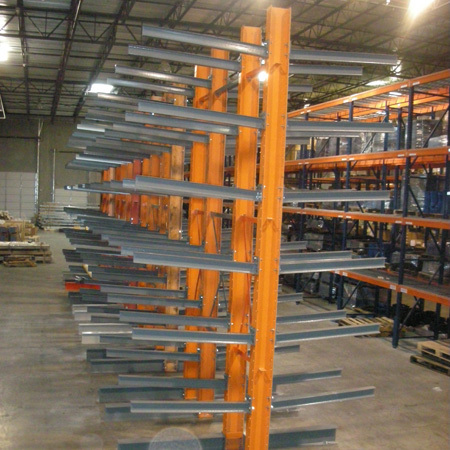 The Cantilever towers and bases are made from 5" x 8" Wide Flange structural steel at 18lbs. 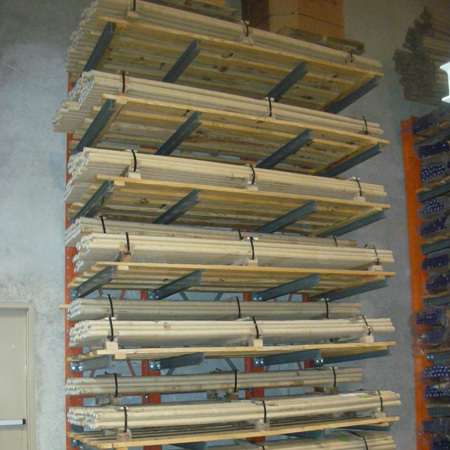 per foot. 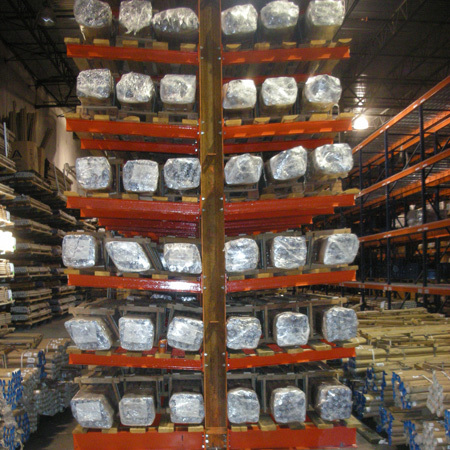 The arms are made of 3", 4" or 5" thick high beams and can adjust at 4" centers. 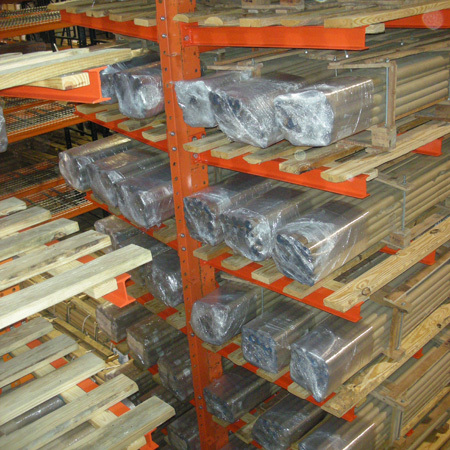 Our most common arm length is 48", but they can be cut to many lengths starting from 12" and going as long as 60". 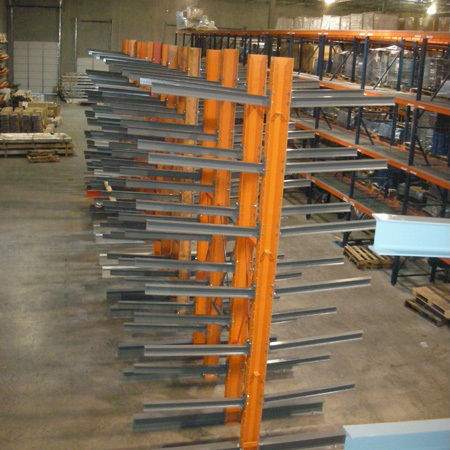 Our braces are made from 3"x 2"x 3/16" angle iron and can be spaced from 24" up to 96". 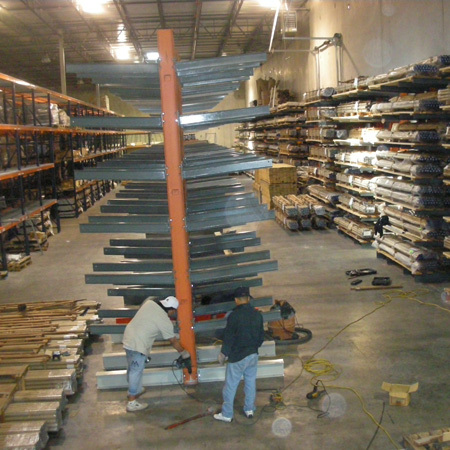 The braces determine the spaces between the towers. 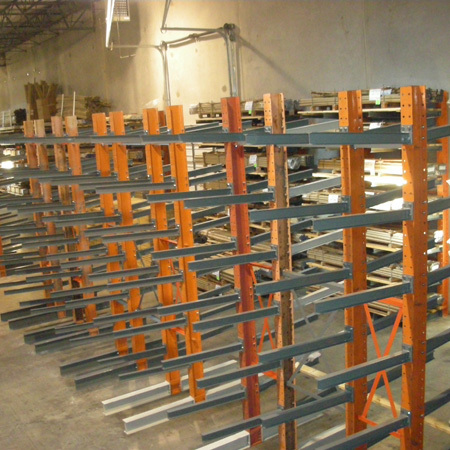 All this is bolted together with our 3/4"x 2" bolts and nuts. 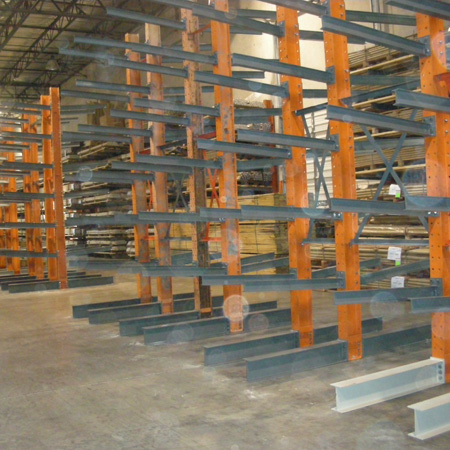 All our Used Cantilever can be powder coated at our facility to match your warehouses decor.